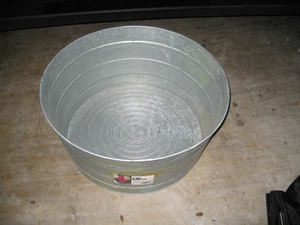 Huge galvanized tub. Great for outdoor bar-b-que's. Fill it with ice and put a keg or lots of cold drinks for outside. 2nd picture shows a 5 gallon bucket inside of the tub to show relative size.